A leading name in the Pharmaceutical industry with over two decades of expertise in providing pathbreaking solutions, Pulse today, has a pan-India presence with a strong field force of over 500 employees, who reach out to over 40, 000 Health Care Professionals. Our Operations span across South East Asia, Russia & CIS, and Africa. We have our own Manufacturing and R&D facilities in Roorkee, Uttarakhand and Hyderabad, that are in line with Global Regulatory Standards. An experienced team of Management Professionals, housed in our Corporate Office in Hyderabad, drives our overall Business Operations. In the late 90s, when everyone was focused on therapeutic areas of disease management, Mr. K. V. Rambabu, our Founder & Managing Director, realized the need to focus on preventive and supportive therapy, which was being neglected by Physicians at that point. To fill this gap, Pulse Pharmaceuticals was launched as a marketing organization in 1997. Pulse forayed into Pharmaceutical & Nutraceutical domain with the introduction of many innovative products that helped the medical fraternity better manage long-term outcomes of diseases. Our strong focus on formulations’ innovation in existing therapies dramatically changed the scenario in the Indian Pharmaceutical industry with the introduction of many novel products, that over the years, have shown remarkable results in disease management. A life without evolution is no life at all! But evolution in itself is a continuous process, and not an overnight Eureka moment always, as popularly perceived. At Pulse, we are driven by an innovation process that is continuous, progressive and never-ending. Simply because, we believe that we have the ability to push the envelope and outdo our own selves, when it comes to innovating something better that could add greater value to the lives of our customers and various stakeholders. Innovation, for us, is possible in every aspect of what we do – the products we manufacture, the services we offer, or the way we market our offerings. Our focus on ‘innovation through applied learning’ for a better life, has helped us create a niche for ourselves among Health Care Professionals and customers alike. 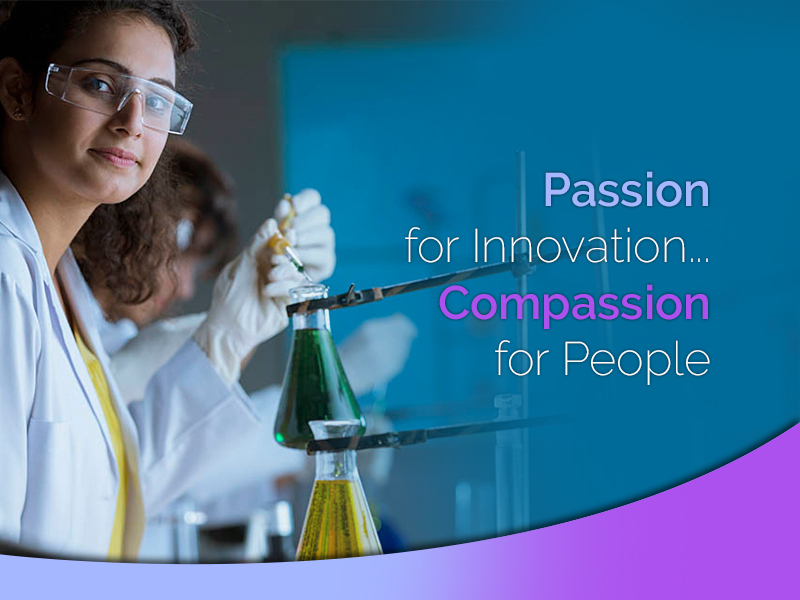 Our passion to help prevent the onset of diseases while providing cure to ailments in their current form, has helped us scale new heights in creating innovative solutions… and this we believe, is the driving force that will determine our future growth trajectory. For us, at Pulse, credibility comes first. Everything else follows… including business. Passion – We are passionate about what we do, simply because we know why we are doing it. Both - the purpose and the prospects of our endeavour, excite us. No half measures. Absolute passion and complete dedication to what we do – be it creating innovative solutions or serving our customers. Pride – Taking pride in our purpose when we realize that our hard work and perseverance has made a difference in the lives of our customers and various other stakeholders. Integrity – We believe in doing the right things in the right spirit… always. This belief gives us the courage and conviction to travel the distance, and even face adversities, without deviating from our guiding principles - in action or spirit. Respect – At the heart of every single endeavor of ours, is the utmost respect for human life, the society we live in and serve, the environment that supports and sustains us, and our world in general. Our commitment to our values has been the foundation stone for us in the past two decades of our inception, survival and growth, and will continue to be our guiding force in times to come.